My laboratory performs a research program on the host immune response in vivo with the main goal to offer valuable new ways to combat cancer. We use various modalities, including in vivo imaging, to study where, when and how immune cells are produced, traffic, and mediate regulatory or effector functions. The studies make use of both genetic mouse models, which allow manipulations and analyses of mechanisms and causality, and human patient material, to ensure that the results are anchored in clinical correlates. This dual approach gives opportunities for discovery of novel contributions of the immune response to tumor progression, new biomarkers useful for diagnosis and prognosis, and novel targets for therapeutic intervention. Dr. Pittet directs Cancer Immunology Program at CSB and collaborates with several immunology programs at Harvard Medical School, Massachusetts General Hospital and Massachusetts Institute of Technology. In vivo imaging of immune cells at different scales. 2018-12-11: “A small population of immune cells is key for successful cancer immunotherapy” - Study by Garris et al. from the Pittet Lab. See also interview with the authors. 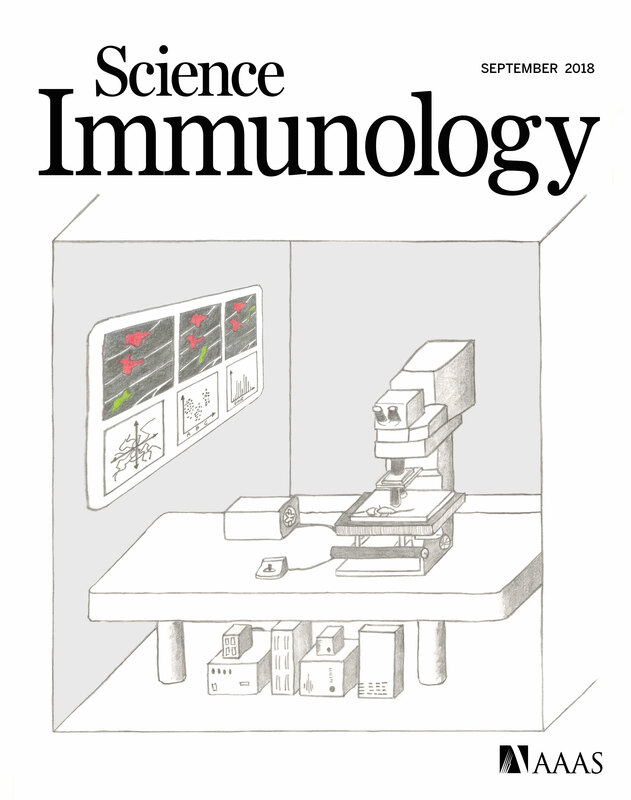 2018-10-02: The Cover of Science Immunology's September issue features our hand-drawn sketch of a microscopy room used for intravital imaging and discussed in this review.